A day of rest? Not for this silage crew. And thunder from rough headlands hard as roads. The cows plod in to give their milk once more. An ancient pact, whose terms both sides accept. A Sabbath broken. But a bargain kept. Into the still-warm soil to sleep till dawn. Or diesel tanks are hollow, drained to fumes. Their harvest from our acres as we sleep. Were altered by a fraction of an inch. The smallest bolt, it wouldn’t be the same. On its way down, but never failed you yet. You took today. And want to ride again. 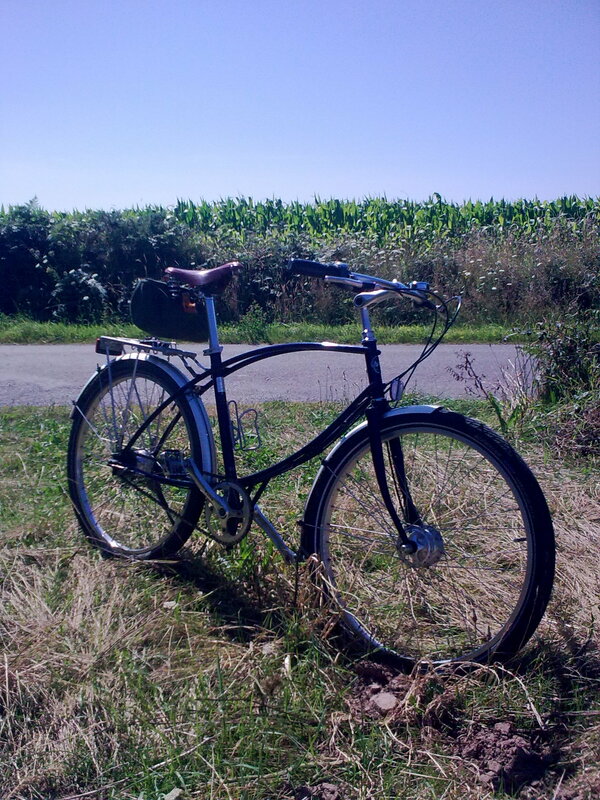 My Pashley Paramount, on its holidays in Brittany this summer. A Good Bike if ever there was one. N.
A straight-line dash at half-a-mile per hour. And tawny stubble, under autumn skies. Today – and no one truly tastes defeat. He went out there and changed the world today. Been working till all hours the past couple of weeks, but today I took The Guv’nor and rode an easy 15 miles or so to a ploughing match. 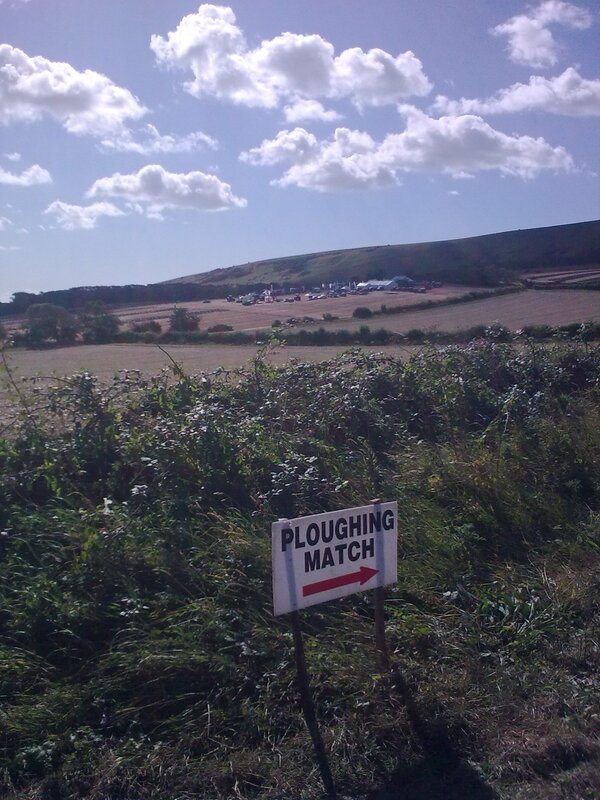 Spent half an hour watching modern and vintage tractors, plus a couple of horse teams, striving to turn perfect furrows on the sunlit slopes of the South Downs, then trundled home again for lunch. Hard to think of a nicer way to spend a morning, really. And yes, I do know how lucky I am! N.